Our first taste of cool fall weather has officially landed here in Houston! I can’t think of a better time to share some of my favorite boots under 200! Full Disclaimer – One pair, the gray ones, are $225 but I really wanted to include a gray pair. These were my favorites. 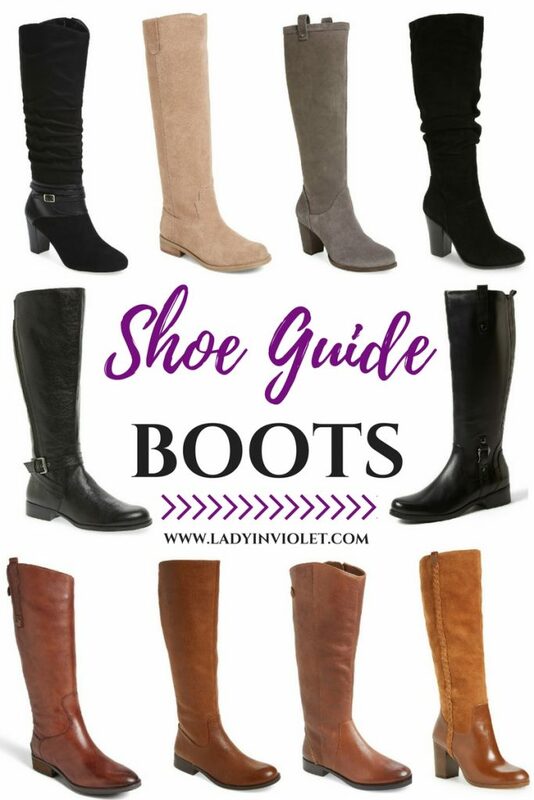 I’m really picky with these shoe guides, and I just couldn’t compromise on that one. I am still on the fence about buying new boots this year. You may be seeing a whole lot of similar this winter. I am currently in the market for a suede black boot with a heel that I can wear to work with skirts or with leather leggings on weekends. I really like this pair, and they are only $105 which for boots is pretty darn good! So if I decide to invest in a pair, these will be at the top of my wish list. I think a good boot collection includes both a black and brown flat riding boot, a black suede heeled boot, and a brown leather heeled boot. A few extras would be a fun light tan or gray suede pair, and a fun over the knee boot. Good quality boots are expensive, and I typically buy one pair each fall. My current black suede heeled boots are starting to look pretty worn out, so they are up for replacement for me this year. I hope ya’ll have a great weekend! I have a busy one celebrating my parents’ 40th Wedding Anniversary! It should be a fun family filled weekend. Thanks for taking the time to stop by. I always appreciate it! Loving the boot picks! I can’t wait until it gets a little colder here in Florida! Such a great roundup! I was just thinking about how I wanted to pick up more boots for this season so I’m for sure going to check these out! Yay! 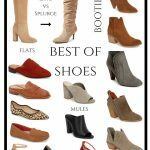 You have saved me a ton of time with your shoe guide. So happy you included the grey pair…they are my faves! It’s super fun to be getting our boots out again. Loving all of your choices! Yay for boot season!! I am in need of a new brown pair of riding boots this fall but you’re right.. good pairs can be SO pricey. I just need to find the right one 🙂 Happy Friday! so many great choices at an affordable price! I am going to have to check these out! Ahhhh so many cute boots! I love the last pair in the 4th row, and I can’t believe the price! Thanks for rounding all of these up! Dying over all of these boots! You can never have too many right?! I want all of them! Such a good roundup. Loving all the suede boots lately! Love all of these options! 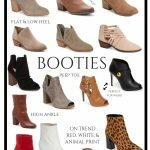 I am in desperate need of a good pair of high quality boots that will last more than just one season so I will definitely be checking these out! Thanks for sharing!